Love this whitening system! Easy to use, doesnâ€™t take like bleach, natural and easy clean up! Saw a noticeable difference after first use! Brighter Smile thanks to NiuSmile! My teeth look super white know!!! 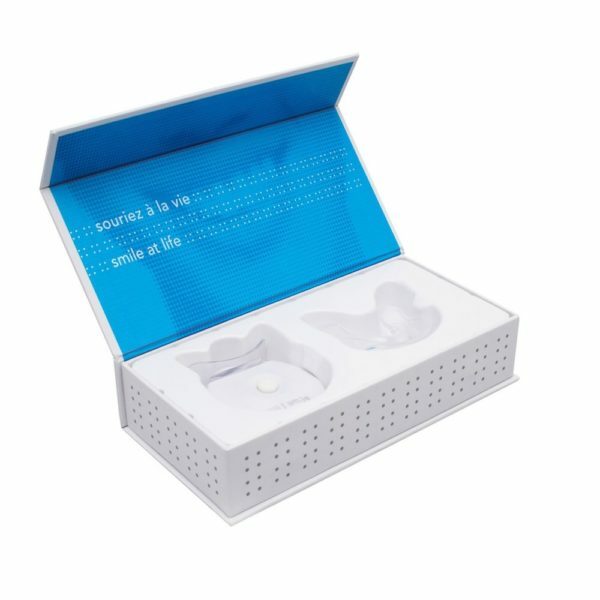 Best teeth whitening kit I've used!! Love that it's very easy to use and doesn't hurt my teeth at all! My teeth look super white know!!! This product works so well and is a much better deal than most of whatâ€™s out there! I whiten my teeth regularly and you could see the difference after just a few days of using this! Best product Iâ€™ve ever used!!!! I love that this bundle really gets you set up so easily. The teeth wipes are so convenient! I can freshen up my teeth pretty much anywhere I go now. I really liked how the product worked on my upper teeth! No sensitivity and was fast and easy to use! I don't know how this works exactly but it gets the job done. Excellent produit! Les r̩sultats sont rapides et c'est si simple utiliser! Impressionnant. I used Niu Smile for the first time and it worked wonders. Very simple and easy to use. I was shocked at the immediate results it gave me and I will be using it much more in the future. I really love this product I think it's one of the best products I've ever used to whiten my teeth I would definitely recommend it , it is affordable and I would recommend instead of going to a dentist to get your teeth whitened. It does an amazing job and will definitely purchase it in the future . I۪ve tried various other companies whitening kit, but this one was by far the best! It has a self timer that is perfect so you can time yourself while getting dress and ready to head out. Also, the black bleach smells nice and DOESNT BURN! I۪ve used numerous bleaching products where it would burn my gums and hurt! This one I didn۪t matter how much I put on, the bleach isn۪t harmful!!! These are so great and convenient! This kit is wonderful! I have used whitening kits with bleach in the past, and while they did whiten, they burned my gums. 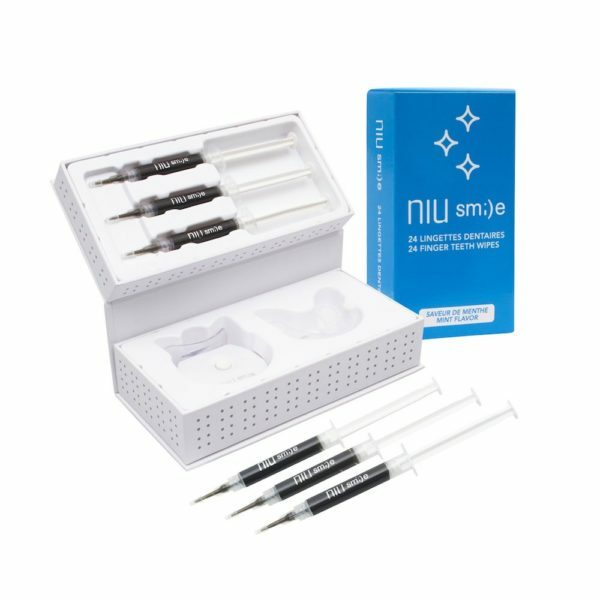 NIUsmile has made this wonderful organic black charcoal formula that tastes great and has ZERO peroxide so no burning/sensitivity. And the results were great after 1 week and even better after 2 weeks. I loveeeee these little wipes! They۪ve been coming in quite handy. I try to keep at least one in my bag at all times. These wipes are great. I۪ve been keeping a few stores in different places so I۪m always able to freshen up my mouth. I۪ll definitely be ordering more. When I ordered my package came very quickly which I appreciated. After first use I saw a difference right away. I love this product and thanks to you guys I have a brighter smile. Easy to use. So far the results have been great! This shows results in one week. It taste excellent and you honestly see a difference. I was an influencer for Niu, and I honestly just loved the energy and genuineness of the team behind the brand. They hand wrote me a note with my package and nowadays it's so rare to receive personal customer service so I really appreciate it.